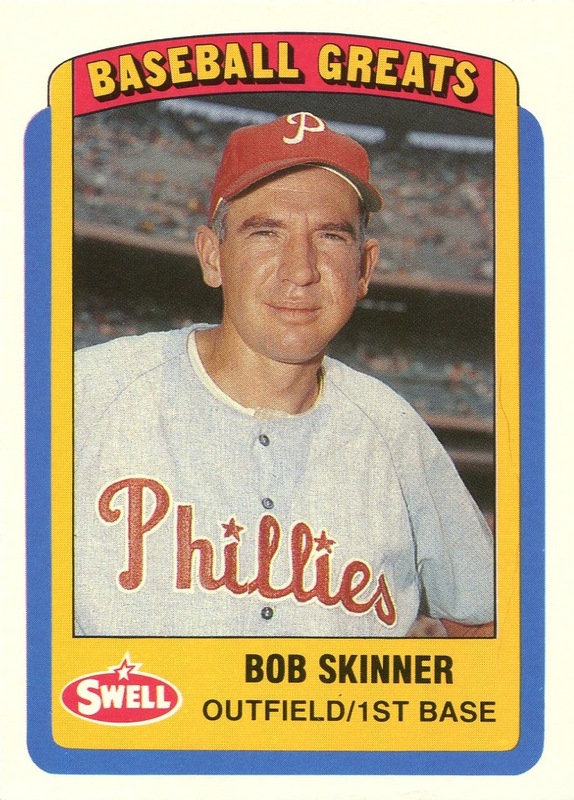 Additional Information/14,000 Phillies Commentary: Set was produced in conjunction with Collectors Marketing Corp. Technically, the cards to do not carry a team designation, so the Phillies team set consists of those individuals wearing a Phillies uniform in their photos. 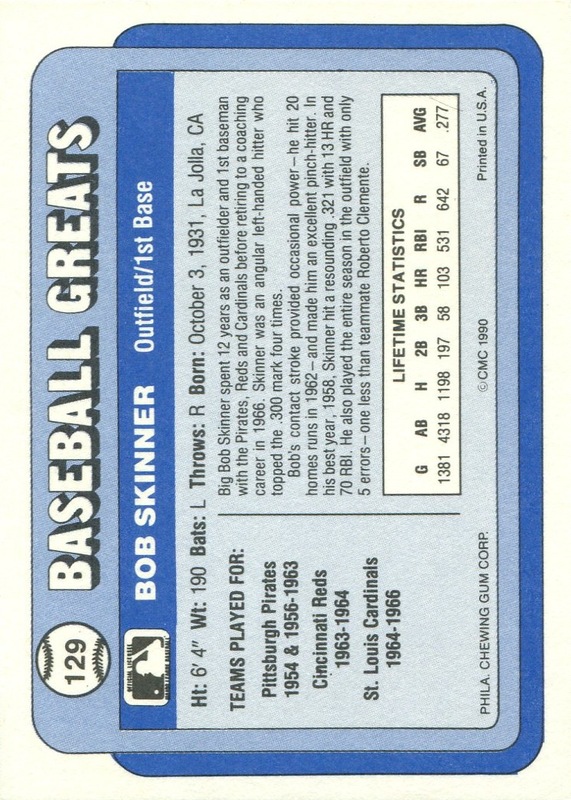 I was always amused by the Skinner card because he only appeared in a Phillies uniform as a manager, but because the card only deals with his time as a player, there’s absolutely no mention of his connection to Phillies anywhere on the card. Back when Swell released it, this was one of the last sets I attempted to complete before deciding to focus solely on a collection of Phillies cards — rather than trying to collect everything I could get my hands on. The set featured solely retired players, and although the picture quality was horribly uneven, I actually thought the all-white cardboard stock and the comparatively simpler borders made the set much more attractive than the Topps offering that year.